Here’s a card that started with pieces from a kit. The kit as designed is cute, but I also enjoy thinking of alterations to make. For this card, I added patterned paper, and a matted stamped image that did not come with the kit. I also stamped some medallions on the pattern/printed portion of the card (bottom half) and pierced along the edge of the gray card stock strip that came in the kit. One photo shows the card The other shows the way the kit was designed. 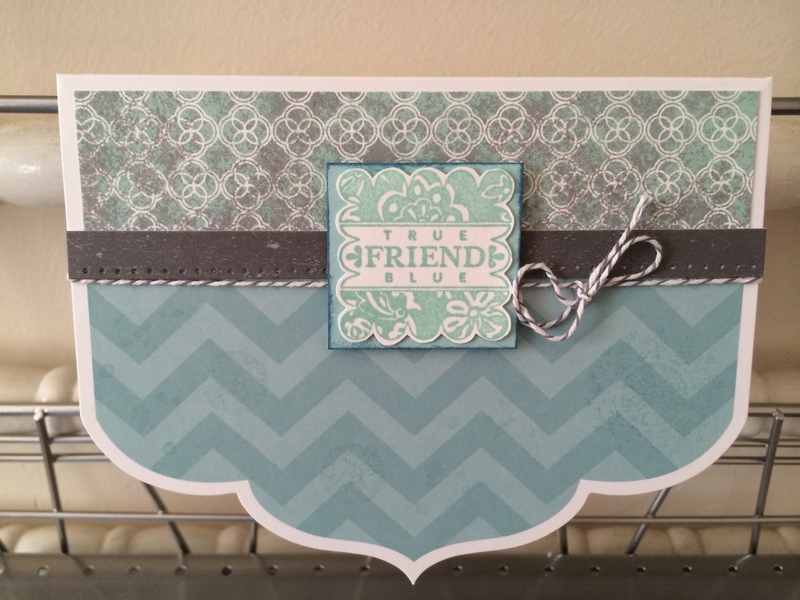 I think everything used for this card was from Stampin’ Up! Some items are retired, and might be found on ebay. 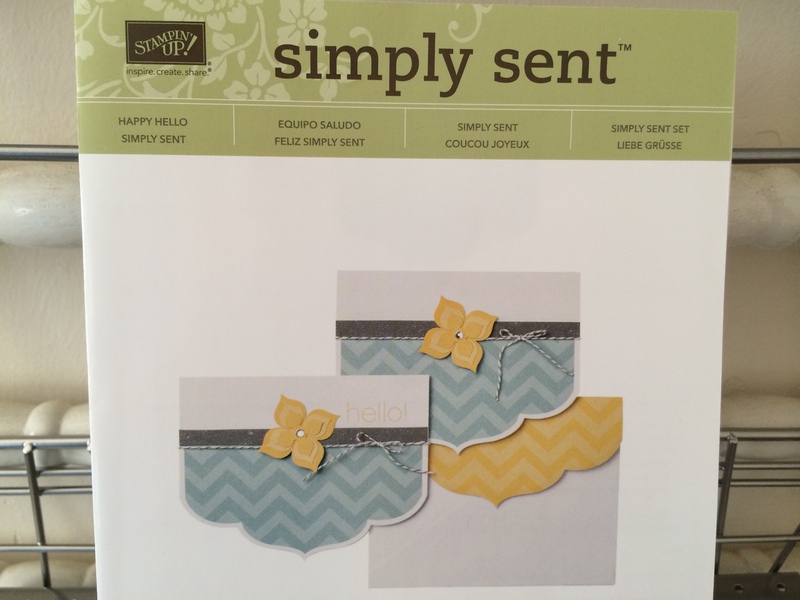 This kit was on the Stampin’ Up! clearance rack super cheap – it might still be available if you hurry. The True Blue stamp is from a retired set called “Punches Three.” The medallion stamp is from a retired SU hostess set called “Mixed Medley.” On the lower half of the card, I also used the spots from the current Gorgeous Grunge set. The ink color and card stock mat is Pool Party from SU. The upper card stock strip is from the SU Epic Day Designer Paper (retired). I cut out the scallop square by hand. I do believe there used to be a coordinating punch for it, but I don’t see it in the current catalog.